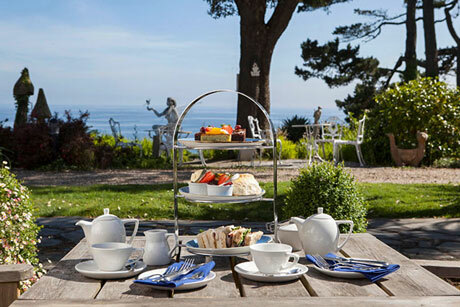 Talland Bay Hotel enjoys a captivating cliff-top setting overlooking Talland Bay, between Looe and Polperro on the south coast of Cornwall. 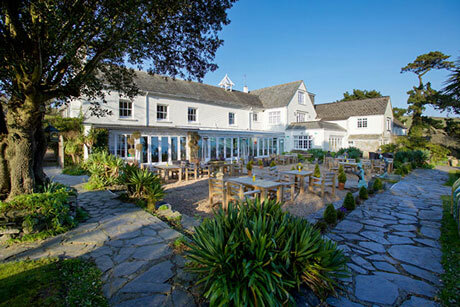 Our luxury hotel is just yards from the South West Coast Path and Talland Bay beach, a smugglers cove in years gone by. 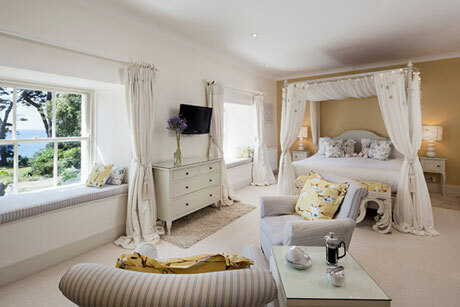 Each bedroom is individually and sumptuously styled, with a character and atmosphere all its own. 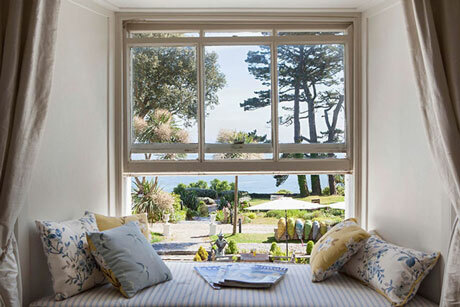 Choose from country-facing or sea view rooms with features including sleigh beds, clawfoot baths or a private balcony. 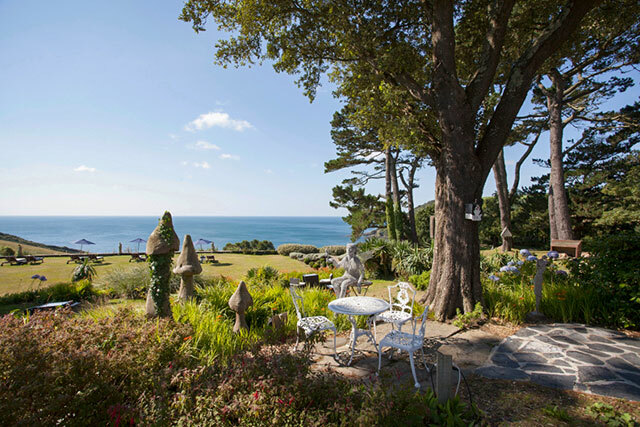 Explore the coastal path, relax in our wonderful sub-tropical gardens dotted with eye-catching sculptures and enjoy fabulous food on the terrace overlooking the bay. 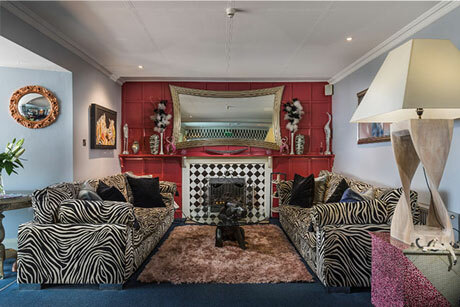 Step inside to the well-stocked bar, sunny conservatory restaurant and cosy lounge, all decorated with an eclectic mix of furnishings and art. The Terrace Restaurant is a highlight of any stay. 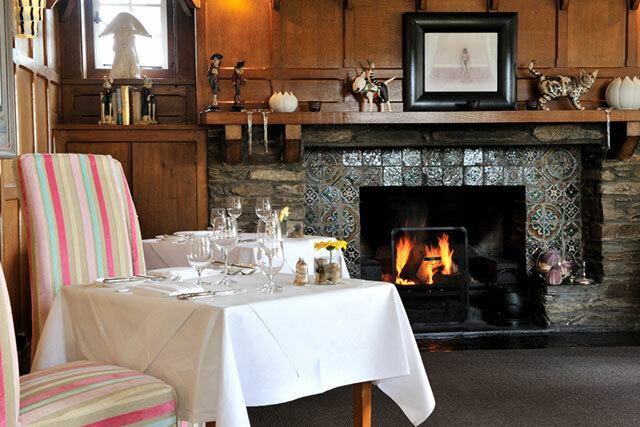 Our fine-dining menu provides both traditional and contemporary choices. Ingredients are carefully chosen: the freshest seafood landed at Looe, excellent quality meat from nearby farms and seasonal local vegetables. Our commitment to ensuring that every meal we serve is exceptional has been rewarded by two AA Rosettes. Arguably what sets this Cornish sanctuary apart however is the outstanding levels of hospitality and customer service that complement the amazing food and location. Talland Bay Hotel is also one of the most dog-friendly properties in Cornwall, if not the UK, offering an exceptional welcome to man’s best friend.